You are here: Home / Uncategorized / Giveaway: CAMEO + current Silhouette promotion! PICK ME!!! I have a lot of decorating to do for my new apartment, and this would definitely help with all of the crafting I need to do! Wow! Would love love love to win! I’ve wanted a Cameo for so long! I have a whole list of projects I want to tackle with it. I am a Silhouette blog subscriber via RSS. What an awesome giveaway! Thank you for the opportunity to enter the giveaway! I follow the Sillhouette blog. I am a follower/reader of the Silhouette blog. I would love to win the Cameo. I can think of a million things I can do with it. A Cameo would be fantastic to win. I would love to win! Thanks for the chance to win one. Thanks for the chance to win this. It looks like so much fun. Exciting – would love to win one! Already followiing the blog~ even saving up the weekly shapes. The Silhouette Cameo is amazing. Love all the ideas and shapes offered by Silhouette. I would be thrilled to win one. I am a Silhouette Blog Follower. I just love it! Never enter because I never think I’ll win, but this was too good not to try! This machine looks amazing! I even followed the Silhouette BLog! I’ve been checking out your blog often lately as well! You make some good crap. I follow the Silhouette blog already! Let’s win this and get crafting!! Oh man, I’d love to win this! I’m going to take a chance, fingers crossed! I love that Silhouette gives a free shape of the week! Have been following Silhouette Blog ! As a craft lover always wanted to have one to explore the craft world (with my creativity) ! Thanks. Oooohhhhh!!!!!! I would love a Cameo’!!! Sure hope I win this time! Been trying forever. Have been following Silhouette’s Blog for quite some time. Oh, would I love this cutter. and the software. I have another brand that shreds paper, literally. Thank you for a chance at winning. Oh, of course I follow the Silhouette blog. thank you again..
Great giveaway! I am crossing my fingers…and my toes. I follow the RSS feed of the SC blog. I would so love to win this! Hope I do! Oh I want a Cameo so bad! I hope I win! I do belong to the silhouette blog and love it. I would really love to win the cameo. There are so many things i could do with this. Thank you for giving us a chance to win one. I already follow the Sihouette blog…love it! I want! I want! I want! I have had my eye on this for a while. I am a teacher by day and crafter at night. I could so use this! I’d love to win the Silhouette Studio® Designer Edition, oh please pick me Mr. And The Winner Is.. I am a follower of Silhouette! Omg. I would just be estatic to win these! Thank you for the ultimate opportunity! Blessings Pamie G.
I belong to the Silhoutte blog! Thank you! Pamie G.
Silhouettes would be awesome for our school to have! I would share!! Im crossing my fingers! Thanks for the giveaway! Awesome! So excited about this giveaway! I would love to win this awesome Machine!!! Thank you for the chance and Happy 4th of July!!!! I follow the Silhouette blog BUT now I need the machine! Thanks for the awesome giveaway! Awesome giveaway! Pick me! Thanks! Awesome giveaway!!! I love Silhouette “Crap” !! I follow the silhoutte blog!!! I follow yours too!!!! You make some great “crap”. I’d kill for one of these babies….I have a few ideas one what I’d love to do first!!! I’ll take another entry for following Silhouette Come on lady luck! What a great giveaway! Thanks for this fun chance!!!! I have sooooo many projects I want to do with a cameo! I’d love a Cameo, but it’s not quite in the budget right now. I dream of the fun I would have with it. Thanks for this opportunity! I would love to win it! Thanks for giving me a chance to win, I would totally love to have this machine! Happy Independence Day! I’ve been wanting one of these for eons!Thank you for a chance to win. I am a follower of the Silhouette Blog. I really loved the Delight Yourself eye chart they posted a several days ago. What a fun giveaway! Happy 4th! This is a great giveaway! I’ve been wishing for one for quite a while, fingers are crossed! What a great giveaway! My fingers and toes are crossed. Enjoy your 4th! And, I follow the Silhouette blog! I need this for our new house gut job!! OOOh!! I am following you and Silhouette!! I would love love love to win this Cameo!! WOOOOOOO!!! Happy fourth! I hope you have a lovey holiday! I am following the blog for silhouette. Good luck everyone! What a great giveaway. I’d love to win a Cameo. I would absolutely love to win this! I want one so bad! I have wanted a Sillhouette FOREVER! Maybe I’ll win! Thanks for the chance! Thanks for the giveaway! Love your site. I, like everyone else would love to win. good luck to all. I would love a cameo! Maybe the 4th will be my lucky holiday:) Happy 4th of July! I follow the silhouette blog via google reader! I’m a follower of Silhouette’s Blog! such fun ideas! and talent!! Keeping my fingers crossed that I will the winner! It would be soooo awesome to have one of these! I have entered a lot of cameo giveaways with no luck, but you never know. I love that this one comes with some awesome software. Thanks for the giveaway! I would love to win the software! I follow the Silhouette blog via RSS. One day I will win thanks for the giveaway! The silhouette looks like such a versatile tool! It would be so handy! My fingers are crossed…I hope to win!!!! Oh! How awesome! Keeping my fingers crossed! Thanks for the chance. Super giveaway! Thanks for the chance to win! I would love the chance to win!! I am currently prosecuting my great-uncle for nearly 20 years of childhood sexual abuse, DIY/Creating/Thrifiting/Painting are all part of my therapy throughout this trial! I have been aiming to one day help other child abuse survivors through Therapeutic Creativity. I LOVE your blog and continue inspiring others with the “Crap You’ve Made”! You are making a difference. I read your blog daily and find inspiration to continue battling through our justice system for the name of all who have been abused. Yippee! Thanks for the chance to win, Char! ♥ Happy, happy Independence Day! Happy 4th! Would love one of these-oh the possibilities! Thank you for the chance to win! I would love it if I won! Following the Silhouette blog. Thanks again for the chance to win! This machine has been on my wish for so long that my wish list is wearing out! I follow the Silhouette blog through my yahoo.com email. I have been wanting a Silhouette for SOOO long! Pick me! Pretty please?? pick me pick me!!! I’d love to win a Cameo!! Thanks for the giveaway! I would love to win a Cameo! Happy birthday to me! Was just looking at this as a birthday gift suggestion for my hubby. Would love to winone ! oooh I dream of this Cameo and all the projects I could use it for!!! Thanks for the Giveaway chance! I would so Love to win this. I have a list of projects I could use this for! I’d love to win. I keep having to bug my friend to use hers. I hope I win! I would looooooove to win a Silhouette! I have so many projects I’d like to use it for! I follow the Silhouette blog via their RSS feed. I know the chances are slim, but it’s worth a shot Thanks for the giveaway. And I also follow the Silhouette blog. Thanks for the give away. Hope to win so I can put all the good info you share to work. I need this for so many reasons! Thank you for the opportunity to win one! I follow the Silhouette blog through Google Reader! Thank you for this opportunity, Char! Hugs! Love your blog and would love a Silhouette! I have a Cricut that I got for free before Silhouette came out…and I have been longing for a Silhouette ever since. Cutting my own designs would be like a dream come true! Love this giveaway. Hope to win!!! I was so excited to see this giveaway! I love your site and I have been dying to use a cameo! I don’t just want it. I need it! Love the name of your blog A person could make seriously cool [crap] stuff with this! I want one of these machines so badly! I’ve wanted one of these for awhile. Too bad so many other things need to be purchased first. Thanks for the chance to win! I have been lusting over the cameos forever! oooh I would loooove the Cameo! I would love to win one of these for my wife! Thanks for the great giveaway. I follow the silhouette blog. Thanks for the give a way. I have wanted one for a long time. I love when there’s a Silhouette giveaway! Thanks, Char! I’d love to win! It’s my birthday this month and it would be a wonderful present! I would love to win! Happy fourth of July! I follow the sillhuoette blog! Silhouette makes such cool stuff. Hoping I win! I would be so awesome to win! I would love to win a Cameo. It has been on my wishlist for a while now. Thanks for the chance to win one. I’m already following the Silouette Blog. Thanks again! My daughter and my mother are both so amazing. Want to share with them! ohhhh!! pick me, pick me!! I would love a Silhouette. The possibilities are endless. I follow the Silhouette Blog!!!! What a great giveaway! Would love love love to win! Thanks for the chance to win! Im desperate to get one of these! I would love to win the Cameo! I would LOVE to win a Cameo. Most of my crafting friends have one and I am in AWE of the stuff they can make. Ohhh! I would love to win! I can’t even tell you how many Silhouettes I have tried to win! I am crossing my fingers that this time will be my lucky time! SO hoping I can win the Cameo. I have SO many things waiting to be made!! Thanks for the opportunity! I’m a long time follower of the Silhouette blog!! I now follow the silhouette blog! Love this blog. I can’t believe you are giving away a cameo. I’ve wanted one since they came out. Fingers crossed. Pick me! Pick me! I’d love to win this! Thanks for the great giveaway. I have been researching these wonderful machines. Pick me please!! I’ve been wanting one for so very long!!! Hope to WIN!!!!! Great giveaway. I’ve been wanting one for a while now, dreaming of all the things I could do. I’m already a follower of the Silhouette blog. Would love to be the winner – thanks for a chance. Would love to be the winner – thanks for a chance. I would love love love to win!!!!! I already Follow the silhouette blog!!!!!! You have no idea how thrilled I’d be to win a cameo! I’m following silhouette’s blog and I love their ideas! Winning this giveaway would be a dream come true!!! Just checked out the Silhouettes blog. They have a lot of coo l ideas and projects. I would LOVE to win this awesome giveaway! There are endless possibilities with the Silhouette and I would love to have one. I’ve been drooling over my friends’ Silhouette for months … I really could use one too !! Pick me! Pick me!! I’ll made TONS of crap with it!!!! and let my closest friends play with it, too. Oh I wish I may, I wish I might, If I win the silhouette cameo I would squeal with delight! A Fourth of July Cameo giveaway? Let freedom ring! If I were the winner, I know I’d spend at least 4 hours straight on the computer figuring out all the cool stuff it could do. Fingers crossed here! I follow the Silhouette Blog as well. Great ideas! I have so been wanting one of these. Such a great giveaway! You rock! Silhouette is on the top of my wish list! Thanks for the chance to win! This is a great opportunity! Thanks for the chance. Definitely want to win this! Happy 4th of July! I sit here relaxing as my hubby takes care of dinner and my almost 4 yr old is in bed for the night. What a good day! (also found out first thing this morning I got a new nephew!) winning a silhouette would be icing on the cake! this is such a great giveaway, I would love to win. I have lists of amazing projects that I do with this sucker! From organizational crafts to custom T shirts! Thanks for the great giveaway Char! Also, thank you for making your giveaways easy, you are awesome! I am also a new follower of the Silhouette blog! Thank ya! OH I want to win this SO badly! Hi! I follow the Silhouette blog via RSS, and REALLY love getting it in my inbox each time they post! CUTE projects! <3 the Cameo giveaway! I hope to win one…soon! Something is with the posting button. I’m correcting my posting. I subscribe to the Silhouette blog via e-mail. Oh wow!! Would LOVE to win! ( along with everyone else!!! Lol). Good luck everyone! awesome giveaway! I would so be over the moon if I won this!! Now a follower of the silhouette blog!! Im so excited for another chance to win a Cameo! Oh what an exciting giveaway! I hope I win! Thanks for the giveaway! So would love to finally play with a Cameo! I follow the Silhouette Blog. Thanks for the chance to win. i would love to win a Cameo! I see all the fun things that you do with your silhouette and it makes me want one sooooo bad. I just followed the blog! I wanna win this CRAP!!!! Oh how I love these kinds of giveaways. Thanks for another chance to win! Hope you had an awesome Independence Day! Thank you for the giveaway. Would really love to win. I follow the Silhouette blog with e-mail subscription. I am a total follower. Follow Silhouette via blog emails and on Pinterest too! Fingers crossed for a Silhouette! I hope I can win a Silhouette for my wife! A Cameo would make crafting so much easier and more professional looking. I would love to win the Cameo. Thanks for the giveaway. I’d love to own a Silhouette! Thanks! I’m already following Silhouette! Thanks! Great Giveaway. I would love to win a Silhouette Cameo. Wanted one for a long time. I could get started on making my Christmas Gifts early. Thanks for the chance! Oh…. pretty please, let it be me!! I am a follower of the Silhouette blog and also follow them on Pinterest. Have an especially blessed day. I would love pass my Cricut on to a needy soul for a Silhouette! I follow the Silhouette blog….. dream of what I could do if onlly I had one…. I have so many projects I’d love to use a Cameo for! I’ve always wanted a Silhouette Cameo as the ideas that run through my head are crazy with the endless thoughts of projects to do. Thanks for the opportunity to win one! Good luck everyone! Additionally, am following the Silhouette blog! What an amazing giveaway! Thank you so much! It is my birthday next week and what a chance at an amazing bday gift! I follow the Silhouette blog also!! I would love to have a Cameo! I am picturing you calling my name. I would love to win! yay yay yay – love silhouette giveaways!! Love the blog, would love to win a Cameo! Thanks for the opportunity! I already follow the Silhouette Blog. Thanks!! Thanks for the giveaway! My fingers are crossed! Please pick me!! I really want to try one of these and to win one would be the BEST. Thank you for the giveaway!! I would love to win something. What a great giveaway. Would love to win! I’ve sure wanted one of these ever since I heard about them! Have had my eye on one of these for sometime! Thanks for the opportunity to enter! I am following the Silhouette blog!! Yay!! Foloowing the blog for a few weeks now! this machine is my dream – i want to make tshirts and cute cupcake holders…. it is amazing. Would love to be a winner of the Cameo! I would be the happiest girl in all the land if I were to win this! I follow (and love) the Silhouette blog. Oh man, would I ever love to win this! I would love to win This Awesome machine! I am also following the blog.. I have had my eye on one of these for a while now. I love that you can use it with fabric! I have so many projects in mind that I would love to use this with. Thanks for the chance! Thanks for the giveaway! Would LOVE to win a Silhouette! I follow SIlhouette’s Blog and alove the ideas!! I would <3 to have a cameo. This is great! Thanks for the chance!! I would love to try a Cameo. I have been following the Silhouette Blog for quite a while! I would LOVE a cameo! Thanks! I would love to win…I see all the beautiful things that I could do. would love to win one of these Silhouette’s–pick me!! Thanks for the opportunity! I already follow the Silhouette blog, yay! I love a Cameo giveaway! So excited to be able to enter! Thank you! I’d love to have one of these, thank you for the chance! I’m a follower at the silhouette blog…I love bookmarking ideas, because I hope to win or buy one of these someday! Love this product! Can’t wait to see what the designer edition software is all about! I just love following the projects you have created with this. What an awesome giveaway! Hopefully this is my lucky entry! This is my dream. Would love to win this! I follow the Silhouette blog as well as their Pinterest. Oh geeze! This IS a great giveaway. Oh, and I follow the silhouette blog. I think that may be where I found yours. Yay I love silhouette giveaways!! Love, love, love your giveaways!!! Been following silhouette blog email. I am so excited abou this giveaway! my pantry could use some organizing! I’d love me a Cameo! And I love Crap I’ve Made. Thanks for blogging and sharing! I use my SD all the time so a CAMEO would be awesome! I think you should just pick me! I could seriously use this!! Thanks for the great giveaway opportunity!! I also followed Silhoette Blog! Thanks Again! Who wouldn’t love a silhouette!? Yay for giveaways! I could really use a Silhouette! Thank you for this give-away! I have several projects in mind that I would love to try if I win!!! Paper and vinyl and rhinestones – oh my! Give me a Silhouette and there’ll be delight in my eyes! Wow. Thanks for the chance to win! Would be so cool to win. They’re awesome! If I keep entering I just might win! I could use the HECK out of a Cameo! I find myself making so many posters – like yesterday, at our Town 4th of July festival…. Awesome giveaway!! Would be such a fun little tool to win! I DO happily follow the Silhouette Blog! i do already enjoy the silhouette blog! the link “here” goes to a bundle package that has expired, not to the current promotion bundle. and if you add both items into your cart and use the promo code it only takes of the $24.99. How would i go about getting both the cameo and the designer edition software for $269.99 ??? please help. I never win, but I still like to enter. ok i was able to find the link by googling it, but just so you are aware, your “here” link goes to an outdated promo. http://www.silhouetteamerica.com/blog-de-3.aspx?mid=Jyj6MuLA5ZaCyl8JjCD8LU7uPfKmigVx this link goes to the new promo. still hoping to WIN!!!!! If I win, I promise to produce a spectacular amount of crap, a portion of which will actually be suitable to give as gifts to people I allegedly like. I also already follow Silhouette’s blog under my secret identity. A cameo would be amamzing! I follow the silhouette blog. So many great ideas! I could do SOO many cool things with this!! Thanks for the chance to win! Yay! Here’s hoping Thanks for offering the giveaway. I never expect to win one, but I always enter when you have the Silhouette giveaway. i enter all these cameo giveaways! maybe this time! So I know there’s no way I will win…but I desperately want a Silhouette, and with my husband in grad school for at least another 3 years, there’s no way I’ll get one any other way. Crossing my fingers! Would love to try out a silhouette! Would love to win a Cameo! It’s amazing how you don’t hear of a product and then once you discover it, you see it everywhere! I’d love to try it out! I would love to upgrade to the Cameo! I would love a cameo! The old Cricut is just about dead. I would really love to win a Cameo! I follow the Silhouette blog and left a comment! ooh…let freedom ring! I would love to win a Cameo. I would LOVE LOVE LOVE to win one of these! Thanks for the chance! Oh, oh, pick me please mr.random # generator! I always enter these contests…one of these days maybe I’ll get lucky! Hey, someone’s gotta win right!? I’ve been a follower of the Silhouette blog for a while now. Full of great ideas! Would love to win; if not, will have to ask Santa for one. I totally need to win one of these!! Thanks for the chance! Thanks for the chance! I have the sd and really want the cameo! I follow silhouette’s blog also. Some day I’ll finally win one of these (or buy one) ! I have a lot of things I can use this for! Gosh I would love to win the Cameo and experiment with it! What a dream! Great contest and a great prize. Great blog, also! Wow I’d love to win. I know the odds aren’t in my favor but I’ll still try! Oh winning this would be a dream — think of the things I could do for school, my home, making my sister drool…thanks for the opportunity! I follow the Silhouette blog also. I’m following the Silhouette Blog too… Thanks! Marvelous giveaway! I keep trying to win one!! Thank you for the chance! I already follow the Silhouette blog! Thanks again! I would love one of these – been on my wish list for a long time! I love the crap you make! Thanks! I want to win the Cameo!! Pick me (: New baby on the way and I could make all sorts of fun things! I want one of these so badly!! I hope I am lucky enough to be chosen the winner. I sure would put it to good use! Free is my favorite word!!! I love your website….I have the original silhouette and would love love love to win a Cameo. I have 3 children and money is tight so I would love to be able to do some wonderful new projects with the new larger machine…..
WoW! What a great giveaway! I have been seeing some awesome stuff done with this machine! I would love to win! I would love to win a cameo!!! I am a follower of silhouttes blog. Winning could be dangerous! If I had a Cameo I would be too busy playing. I don’t know if I could find time to go to work. Now I follow the Silhouette blog too. I love the silhouette cameo!! Hello, I’ve been wanting a Silhouette like forever. Thanks for the awesome, fantastic, super spectacular giveaway! Ooh! I want to win! Thanks for the giveaway! I’d love to win a Silhouette. It would make my life nearly complete! I’ve been a follower of the the Silhouette blog for a while now as well. Fingers crossed that I’ve finally done something right! Is there such a thing as “Silhouette For Dummies?” LOL…Because I need it. Crossing my fingers I win!!! Wonderful resource for my class/home! I Follow the Silhouette blog via RSS/Google Reader! Thanks! A Cameo sure would be helpful for my husband’s latest etching project. It would be amazing to be so lucky! The Cameo would take my Girl Scout crafts to the next level. i don’t follow the blog ((yet)) but i’d love to win! I would love a chance to win this! Thank you! I follow the Silhouette blog. I love looking at all their projects and putting them on my “to do when I get a cameo” list. I would so love to win this. Thanks! Man I wanna win one of these! Thanks for the giveaway! Thanks for the giveaway. Fingers and toes crossed I’m the winner! I subscribe to the Silhouette blog! Love seeing the things they share! Fingers crossed! I’d love to win a cameo! This actually looks like a lot of fun, I’d love to win one. Is it dumb that I’m always surprised that I don’t win these? I want to so badly that I kind of start believing I will. Maybe this will be my lucky entry! I would love to win! I have been drooling over this machine for a few years now! Love your blog and would love to win a cameo! Thank you for offering such an awesome giveaway! I recently upgraded to the Designer Edition software for my Silhouette SD, but I would LOVE a Cameo to get even more out of my Silhouette! I promise my SD will go to a good home if I win the Cameo! i NEED this machine! my 3 girls and I are craftonistas and have been drooling over this machine. We are all crossing our fingers that we win! Would so love to win one of these. Maybe someday. How fun would it be to win this?!! i follow the silhouette blog. thanks for the chance. I’m dying to get a Silhouette! I would LOVE to win a Cameo! Thanks for the chance! I’m lovin’ the rhinestone tool option! Would be so fun to create and personalize with! Please pick me! Thanks for the chance to win! I’ve been drooling over this machine!!!! Seems to out-Cricut a Cricut. I LOVE that you can design your own items. i love WINNING! Pick me, Pick me! I would make vinyl cut outs for old windows to sell. Yay for giveaways! I subscribed to their blog. I already follow them! Thanks! I’m already a follower of the Silhouette blog. Such a great giveaway…..thank you for the chance to win! I would love to win this to make vinyl lettering for my new office space of my upcoming business Sew Lambitious. Thank you for the entry! Thank you for the additional entry! With as many of these as I enter, one day I have to win right? So many projects that I want to do! I’m now happily following the Silhouette Blog! I could make a lot of crap with this! maybe one day I just might win one of these! Oh man! Think of the (GOOD) projects I could make with this!! I follow the Silhouette blog. Thank you for such a great giveaway! What second grade teacher wouldn’t want one of these?!? The possibilities are endless in the classroom! I love the Silhouette blog is so inspiring and I’m so glad you recommended it! Now I just need to win the machine and hit the die cutting road! I feel like I’m the most dedicated “enter to win a silhouette” blog follower ever! Fingers crossed that this will be my last entry! Thanks for hosting the giveaway! I follow the silhouette blog via google feed reader. Thanks for hosting the giveaway! So glad you’re hosting the giveaway, thanks! I follow the silhouette blog using google feed reader. Rats! Don’t use this entry! I got an error that said my second comment didn’t post. My first comment was there, but not the second one, so I reposted it. So sorry, I couldn’t figure out how to delete this one! I have a feeling this is the time I win. Yes, indeed. Would love to win this awesome tool!! Thanks for the chance! Cooooool prize! Crossng my fingers! Stumbled on your blog via Pinterest and glad I did. I love your title. I feel the same way often! Great giveaway! I have always wanted one and would put good use to it ! Wow, I would love to win a Cameo. My friend raves about hers. If I don’t get one soon, I may have to “borrow” hers permanently! Hahahaha! I’d have so much fun with a Silhouette CAMEO! PLEASE Please please Pick me! I would <3 to have a Silhouette! Thanks for the chance!!! What an awesome tool to have! I follow the Silhouette blog! have been saving their free shapes, and marvling at their awesome crafts! A Silhouette Cameo would be the PERFECT birthday gift for me!!! I love JULY ! What an amazing package/promotion, too. Good luck to all, and thanks for the chance to win. RIGHT ON! here’s to good luck! thanks. Love the CRAP you make!!! Can’t wait to try! Would love to win this and create all night long!! I could have SO much fun with this!! What an awesome giveaway. I have so many fun craft projects that I would love to make. Oh my goodness I would die for one!! Thanks so much! I signed up on Google reader to follow the Silhouette blog. WhT a great giveaway, thanks for the chance! I have been wanting a silhouette for a while now, I think it will help me het back my crafting mojo! I signed up to follow thw Silhouette blog. Oooh I would love to win this! I’ll never be able to afford one myself lol. I would love to win this and give it a whirl! I have so many projects I want to try that require a Cameo. I’d love to have a newer Silhouette. What an awesome giveaway! I follow the Silhouette blog and you too. Thanks for the giveaway. Just saw a Cameo for the first time today at my local scrapbook store. Looks like a fantastic product! Thanks for the chance to win one! I follow the Silhouette blog as well. This would be awesome to win!!!!! a dream come true! Awesome! I’ve seen some neat things made with the Silhouette! I love the Silhouette Giveaways. I want to win the silhouette so I can make some fun crap myself! I also follow the blog now for more ideas. I also follow the blog now for more ideas on crap to make. Pick me pick me! I’d love one of these! I follow their blog. So many fun projects! Love all the amazing Cameo projects I’ve seen on the WWW!!!! I follow with Silhouette blog! I am dying for one of these. My list of projects I could use it for is basically endless! Yay!! I love it when you giveaway Silhouette Cameos!!! I’ll love it even more when I win one!! I want ths Silhoutte! It is amazing and I can’t wait to get one! I also follow the Silhoutte blog! Thanks for the contest! I would love to win this! I have had project envy for some time now. I really hope to own one of these machines! I just prefer for it to be the free route. Would love to win this, great blog!! I’m so glad I read your blog today! I want to win a Cameo!! Pick me!! I Would LOOOVE to win this!! What an awesome giveaway!! I can’t even imagine how cool it would be to have a silhouette. I’d love to win….thanks so much for the chance!!! I also am following the Silhouette blog! Would LOVE to win a Silhouette Cameo!! Thanks for the giveaway! Thanks for the giveaway. Happy Sunday! I am dying to have a Cameo! Thanks for the giveaway! Would love to own one of these. Pick me, pick me!!!!! I would LOVE to win one of these! There are so many things I’d love to try with it. Thanks for the opportunity to win (I’ll be keeping my fingers crossed). I would love to win the Silhouette Cameo! My students and staff could make some really cool things for their residence halls, but I could be the coolest aunt in the world when I make something awesome for my niece and nephew. I would be so excited if I won! Please pick me!!!! Wow! Thank you! I would LOOOOOVE to win this!!!! I’ve been dying to get a Silhouette, but secretly hoping to win one first!! Thanks for the giveaway! Ugh, I am totally obsessed with a Cameo! I would love one! Thanks for the chance to win one! I subscribed to the blog, as well. Thank for another wonderful chance to win! Hopefully this time I will be the lucky one! I <3 this blog & am swooning over the silhouette!! Great giveaway and sooo many entries! I would love to win the Silhouette. Thanks for the awesome giveaway! So want one of these. Me please! I’ll never be able to afford one. I want a cameo so bad! I would LOVE to have this and try it out. Thanks! Following the Silhouette blog via email. This would go great in my currently being made craft room!! I am a follower of Silhouette’s blog because of you! I can’t wait to make the circus tents from the Silhouette store! I would love this! Have so many ideas to bring to life! Oh I have been lusting after one of these for ages. And I already follow the Silhouette Blog with my trusty google reader. I followed the Silhouette blog! I am following their blog. So many projects i want to try. I am following their blog! Entry 2! I would love the Sihlouette and to have its versatility. I also follow the Silouhette blog. The software sounds awesome! Thank you for the opportunity to win such an amazing tool! Also follow the Silhouette blog. char. i love you. And I’m glad that the silhouette people love you. And this comment is because I follow the silhouette blog. yay! Excited! Hope I win! Thank for the chance! I would be over the moon if I won one of these!! 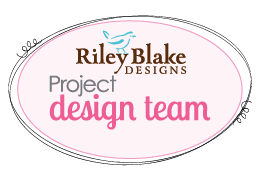 With a new baby, I have so many projects on my list!! I have been eying up this beautiful piece of machine for some time now. Would love to get my hands on it. I have been wanting a Cameo for so long and for so many things. My daughters school projects, decorating, crafts, etc. Thanks for the great giveaway! I have followed the Silhouette blog for a long time. I like to drool over all the awesome stuff you can make with one! Thanks for the giveaway! I need this to cut vinyl to label and organize everything! I just redecorated after 35 years in our house so I have a ton of projects to do! I would LOVE to win the Silhouette! Thanks for the giveaway! My wife wants this so please make my life easier. Been begging hubby to let me buy one of these!! I follow your blog, love it! Great giveaway. I follow Sillhouette’s blog. Thank you for giving away one of their Cameos. I hope I win! Thanks for the chance! The silhouette is SO cool! You have SUCH a creative blog! Thank you for the chance to win one of Silhouette’s amazing Cameo miracle machines! It would be so wonderful to win,’cause I’ve got some intense vinyl envy going on right now. What an awesome giveaway Char! I hope you have an amazing week! I follow Silhouette via RSS! I would LOOOVE a silhouette. Ive been drooling over them forever! What a fun giveaway. And just in time for my birthday this month. I’ve got a lot of projects I’d love to do with this. I’ve been wanting one of these forever! Would love to win!! Thank yoU!! The Cameo looks like a fantastic crafting tool, I would love to have it! Thanks for the chance! I promise to make a whole bunch of craftys for needy folks if I win this!!! Please pick me! I wanna rid the worn out ol Cricut!! Awesome!! I want one of these sooo bad!! My cricut is on its last leg! OH GOD! Please let this be the first time in my life I actually win something!!!!! You know I’ve been a good girl!!! Follow Silhouette blog by email!!! I follow the silhouette blog on google reader! I would love to win one! they are so out of my budget!! I would probably do the world’s most disturbing happy dance if I won this thing. I follow the Silhouette Blog (and their Facebook and their Pinterest boards). Perhaps that’s why I am a little crazy about wanting a Cameo.